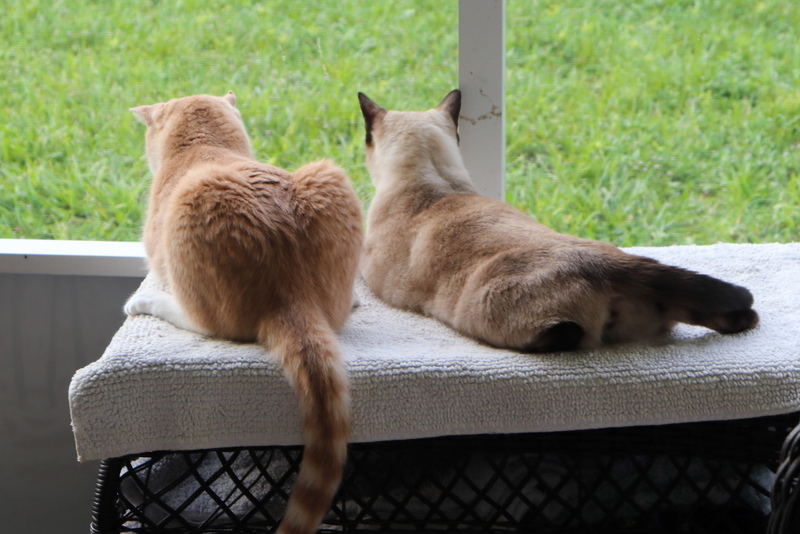 I peeked out the window Saturday and saw Frankie and Floki lying together on the catio. I almost never see those two together so I had to go out and take a photo. The next day I say them again in virtually the same spot but this time noticed they were watching a bunny rabbit that was hanging out very close to them. I again grabbed my camera and went outside but when I got out there I noticed the rabbit wasn’t alone. She was nursing two baby rabbits. This was amazing to see by itself but even more amazing because she seemed oblivious to the cats just a few feet away. She also dug a borough next to the catio just under the cat’s viewing platform. 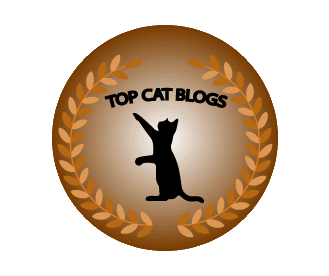 This entry was posted in Uncategorized and tagged Cats, nursing, rabbit bunny babies, young on July 23, 2018 by Charles Huss. The video is unavailable. Can’t reach it on YouTube either. But we loved the photos and post. it is fun to watch nature up close. We’ve had baby bunnies around here. It’s amazing to see them. Yes it is. The video is working now if you missed it. Thank you. The video is working if you want to check it out. It’s pretty cool. I fixed the video so you should be able to see it. Sorry. Make sure the boys don’t get out to go wabbit hunting. I’m sure is what they want to do. Wow, that is awesome! 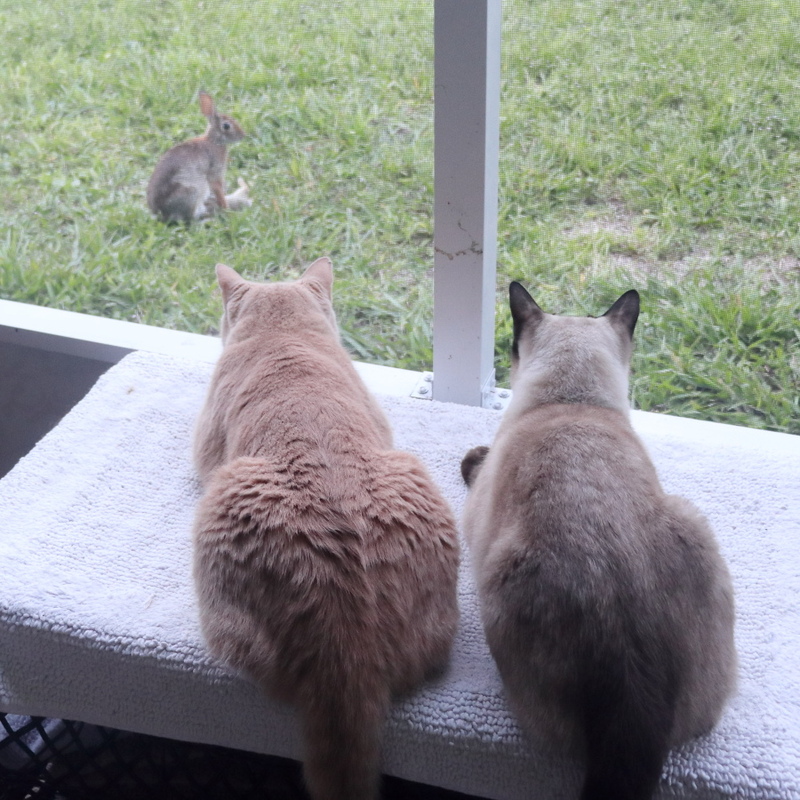 We don’t get bunnies around here so it’s always cool to see them on other kitty blogs. I have never seen bunnies at any home I lived in except here. If they could get through the window, they would. Oh how sweet! 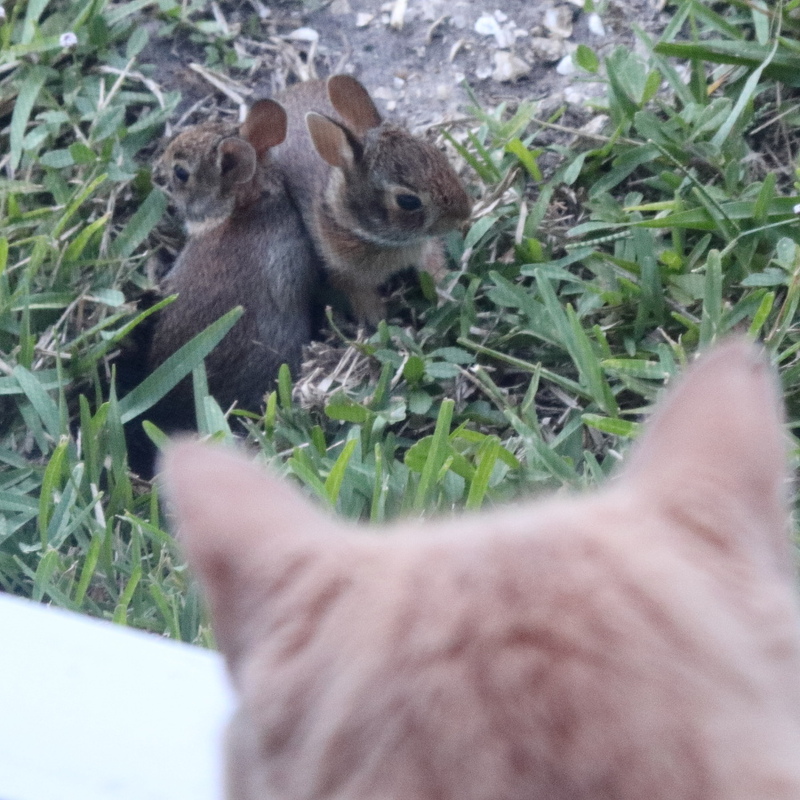 That Mom is obviously somehow feeling totally unthreatened with her babies so close to the cats and “civilization” – the babies are precious and your boys are being SO GOOD not making any sounds or barely moving so Mom Bunny is not afraid. So happy you got a video – these things are so wonderful to see. I hope they stay safe……….. I think the bunnies around here are used to people somewhat which is why she didn’t mind me filming her but I can’t explain why she is not afraid of cats, unless she understands that the screen is a barrier. Perhaps she is truly one smart Mom! guyz…..dadz moovvee iz total lee awesum; tho frank lee N we gotta bee honest; we waz thinkin de hole time……. LUNCH BRAKE 😉 ♥♥ !!!!!! I’m sure Frankie and Floki were thinking the same thing. Amazing! The mama bunny looks so alert to her surroundings. I wonder how she doesn’t see (or care about) the kitties! Wonderful to see the pictures and video. You cats have the best kitty tv show! That is impressive cat TV. They are lucky to have that channel. great video! Glad the cats couldn’t get to the babies! I agree. That happened once and it didn’t end well.